I am finaaaaally getting to sit down and write this post! I have honestly been so keen to share my thoughts on these new GOSH Copenhagen brushes but they arrived the day before we moved homes and – as you can tell from my mentionings in all recent blog posts – it was mayhem for weeks and we did not have wifi for nearly a month after moving. Horrors! 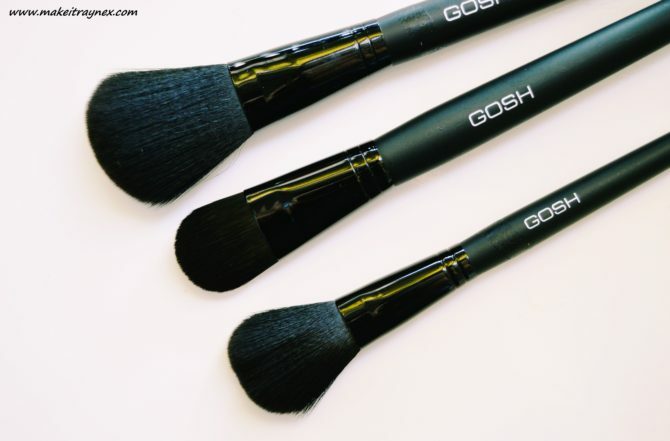 The new range of GOSH brushes are of a superior quality to the previous line; they were originally made up of a combo of synthetic or natural hair whilst the new range contains 100% man made and synthetic hair. The handles are extra long and made of birchwood. The main motives as to why synthetic hair is now being used are, most importantly, NO animal cruelty concerns are brought up. GOSH is 100% animal cruelty free and will always be. The synthetic hair is far more sanitary than using natural hair. The overall quality of synthetic hair is more consistent than natural. And as a bonus; synthetic hair bristles gravitate towards one another when applying makeup, thus improving your overall makeup application and precision. Also, synthetic hair cannot absorb as much product as natural hair, making makeup application with the foundation brush streak free (and you use LESS product!). The release also describes that “the brushes feel exquisitely soft and gives a gorgeous application of product”. I can 100% vouch for this – they are so difficult to not play with if they are within eyesight – you just want to rub them all over your face! And now a few tidbits on each individual brush..
Powder Brush – My fave of the lot! Super fluffy – yet semi dense -and big. It is great for all over powder application of the body and face. In Summer this will be perfection for some gorge powder form body bronzer. R240. Blusher Brush – Just the usual blusher brush. A medium sized dense-ish brush. I would also use this for applying contour and bronzer if you had no other contour brushes on hand. R170. 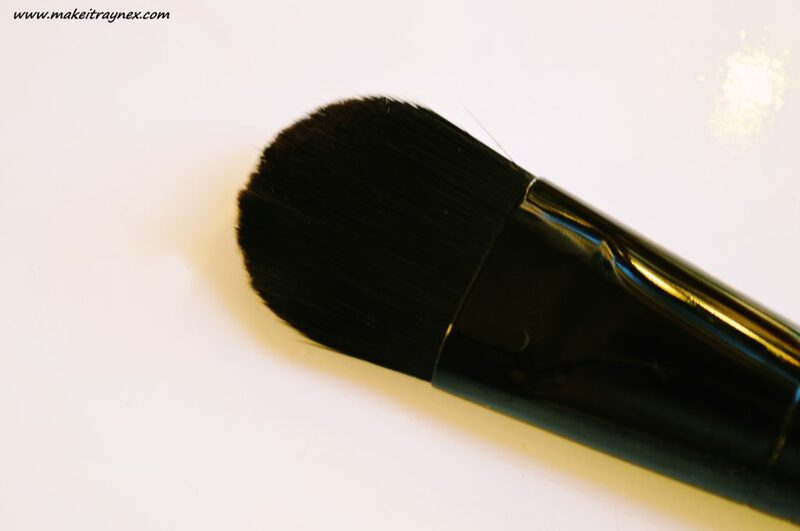 Foundation Brush – This is obviously used for foundation application and it really does get the job done nice and seamlessly. I, however, am not one for using anything other than make-up blenders so I have been using this for applying face masks and it works like a BOMB. It can get its all the small crevices on your face. (aka my fine lines..)R240. 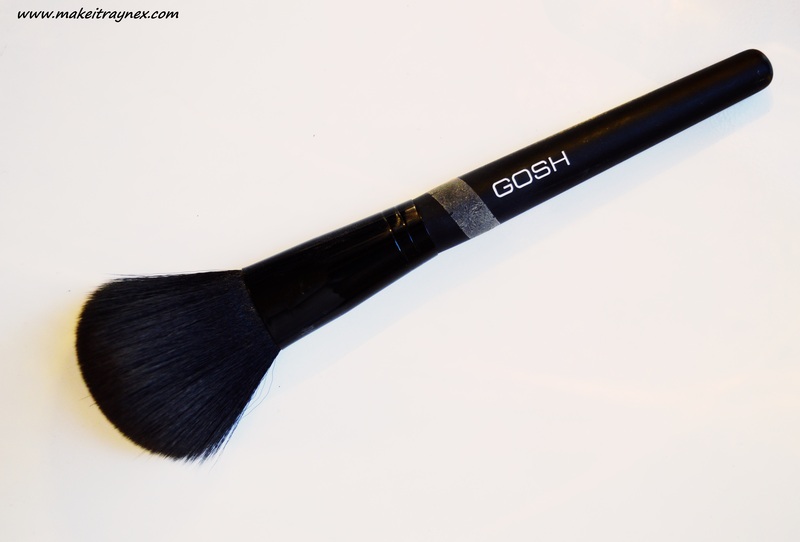 Kabuki Brush – Okay, so out of all the original GOSH ranges, the Kabuki Brush served me the best! It is actually so fab that I had to include it in with the images of the new brushes. I did not want it to feel any less loved now that a new model has hit the scene. 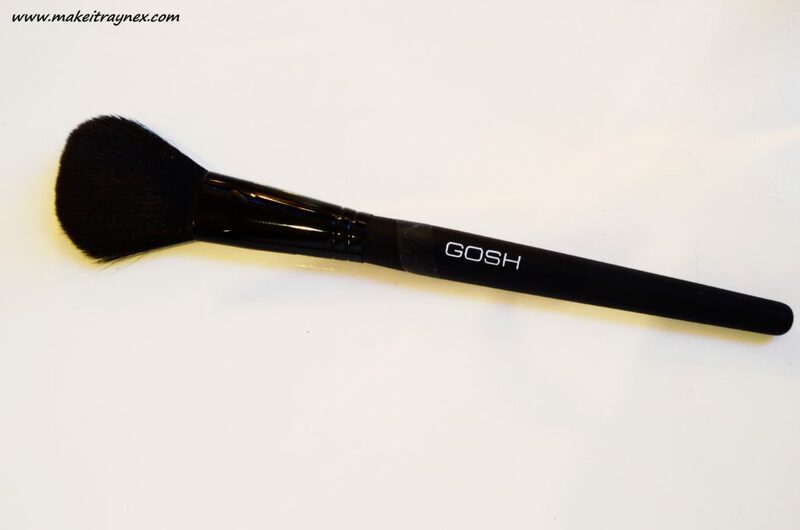 It is claimed to be a short handled brush ideal to use with setting powder, blush, bronzer or foundation powder. And it is all that and more. I don’t know if it is the shape or what, but this is a magical brush. I am so happy to say that the new brush works just as great, if not better, so the changes made to the design are only positives. My original GOSH Kabuki Brush was purchased in January 2014 and look at its pristine condition. I probably used it four times a week for TWO YEARS! And just look at it. I think the foundation brush lost about four bristles during washing, but other than that none of them lost bristles during use and washing. Now that is good quality. Also, if you are a novice who has set out to buy your first brushes, these all have a code and word on the bottom of the handles which directly tells you which brush is for what. 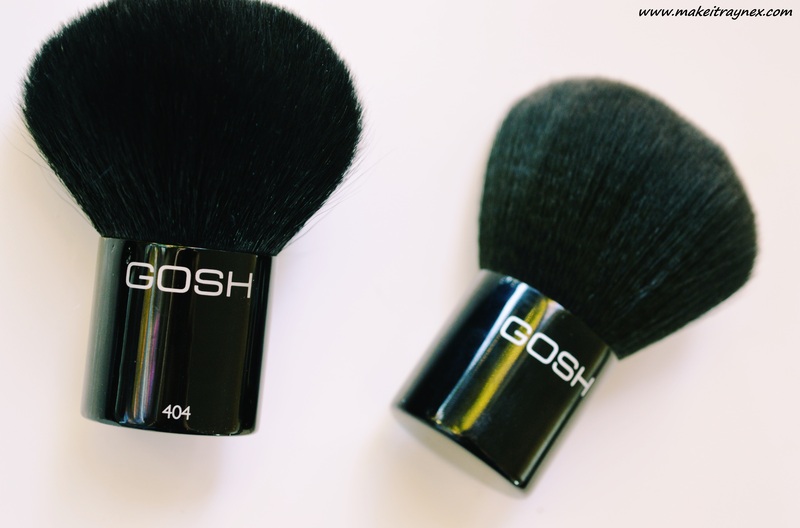 You can find the new range of GOSH brushes on shelves at most Edgars stores TODAY! Let me know if you decide to purchase any of the brushes – and if you loved them as much as I do!